Podcasting is hot. It’s so hot that every person I know seems to have a podcast. Sometimes it seems as if it’s gotten to the point where one of my dogs (I put my money on Mr. Crumples) is soon to announce that he’s starting up a podcast. 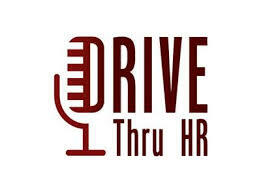 And, of course, there’s the original daily HR radio show Drive thru HR. Now Drive thru HR never went away; over the last decade it has gone thru several permutations. Launched by founder/original host Bryan Wempen, it ran for a few years (every.day)with Bryan at the helm until William Tincup joined Bryan as co-host circa 2011 or so. The listenership continued to grow and several additional hosts took a spin behind the console include Crystal Miller Lay, Nisha Raghavan and Mike VanDervort. Most recently though it’s been Mike managing the show as a solo host…until now. Tune in today when we announce some changes to Drive thru HR, Mike gets a new co-host, and we throw in some “HR Horror Stories” for a bit of fun.